Let's examine the Bible for proof of the existence and acceptance of those who can see how someone's future is headed. Psychics are not fortune tellers. Fortune tellers say this is your future, period. Psychics say this is how things seem to be going and will go this way unless you wish to change it. In God's mind there is only unity. He does not change. The only seer God said to avoid was those that lied. To say seers were for Bible days and not for today is an error. Look at these scriptures in the Bible. If we accept some of the Bible we have to accept it all. 6 And he said unto him, Behold now, there is in this city a man of God, and he is an honourable man; all that he saith cometh surely to pass: now let us go thither; peradventure he can shew us our way that we should go. Prophecy is the seeing of the future, knowing in the moment and past. Hidden secrets, special knowledge and so on. 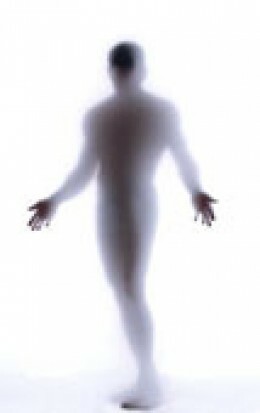 The Bible speaks about how there is no knowledge in the Grave, but in each scripture on this subject it is speaking of the physical body not the spirit. The physical body dies and that same body can never live again until the resurrection. But the soul/spirit continues on. No one goes to what is believed to be heaven or hell when they die (until the first or second resurrection)The physical body returns to the dust it came from. Hell is the grave anyway. (Revelations says death and hell will be cast into the Lake of Fire. In other words it will be done away with) If the spirit did not live on then Jesus would not have conquered hell and the grave in three days and then ascend his body. Lazarus would not have been able to come back to life if the soul dies. We would not be able to have our body and soul partake of the first or second resurrection if the soul did not continue on. Rev. 20:13 And the sea gave up the dead which were in it; and death and hell delivered up the dead which were in them: and they were judged every man according to their works. When it says bodies, it means the astral body. Many say these were resurrections, but this isn't true. Even those martyrs who died horrible deaths aren't resurrected yet. Rev. 20: 5 But the rest of the dead lived not again until the thousand years were finished. This is the first resurrection. The only one who has already being resurrected is Yeshua. Lazarus was raised from death back into physical human life. His soul and physical body was not resurrected. 43And when he thus had spoken, he cried with a loud voice, Lazarus, come forth. 44And he that was dead came forth, bound hand and foot with grave clothes: and his face was bound about with a napkin. Jesus saith unto them, Loose him, and let him go. But Yeshua instructed them to tell no one until he was risen from the dead. He knew no one would believe them. The verse in Daniel is speaking of the body not the soul. Our body will ascend with our soul. Christ raised his body not just his soul and so will we. Thomas stuck his hand in the wound that was in Christ's side. Our soul doesn't sleep. Even in life our soul is our pilot light. While the body sleeps at night our soul is awake. Dan 12:2 And many of them that sleep in the dust of the earth shall awake, some to everlasting life, and some to shame and everlasting contempt. 1 Corinthians 15 where Paul asks the question, “Now if Christ is proclaimed as raised from the dead, how can some of you say there is no resurrection of the dead” (15:12). To this question he responds, “But in fact Christ has been raised from the dead, the first fruits of those who have died. For since death came through a human being, the resurrection of the dead has also come through a human being; for as all die in Adam, so all will be made alive in Christ” (15:20-22). Paul’s basic argument here is that the resurrection of Christ constitutes God’s promise that some day we too experience a similar resurrection and victory over death.